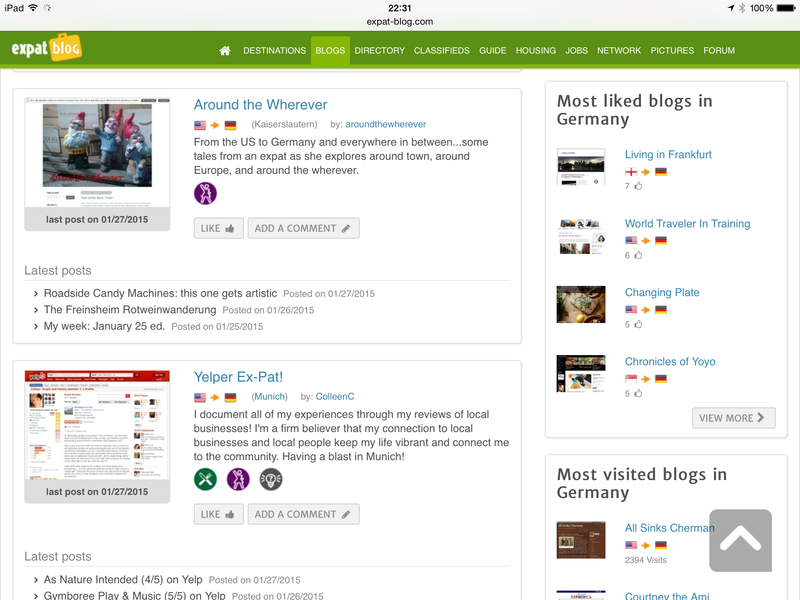 I just noticed while browsing Expat Blogs that they have me listed as the most liked blog in Germany by their readers! Wow, thanks! Technically it’s not a truly competitive ranking as I have made it to the top with 7 votes :-))), however since there are around 150 blogs listed in Germany I’m still taking it as a big compliment! Thanks to that select group of readers who took the time to vote for me!